The aim of the Skoldo Elementary Book is to support the National Curriculum using the Spanish language. It is an introduction to the Spanish language for 4 - 7 year olds and only includes basic conversational Spanish and vocabulary. It is cross-curricular and designed to appeal to children of all abilities in years R, 1 and 2. There is ample support for non-specialist teachers of Spanish and every effort has been made to ensure that teaching and learning Spanish with Skoldo is a fun and rewarding experience. Children listen to auditory instructions on the CD. These activities are simple, self-explanatory and require no written work. They are ideal for a whole class activity keeping all abilities working at the same speed. These are at the children who enjoy a challenge and writing. These worksheets should always be beautifully finished with neat writing. These activities require little written skills as they are puzzle or maths based. They are ideal for homework or to extend conceptual development. The book features simple activities and colouring-in exercises that are fully photocopiable, as well as lyrics to the songs. The accompanying audio CD includes oral directions for activities and games as well as the songs. 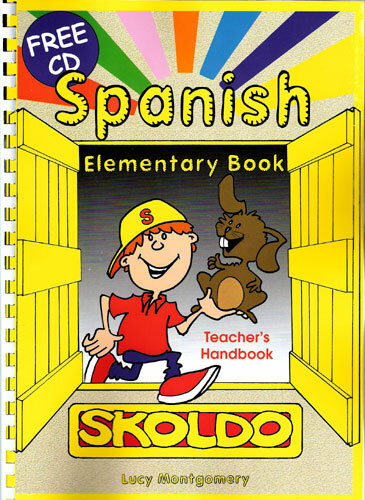 Some of which are traditional Spanish favourites such as "Los pollitos", others have been written especially for the Skoldo programme. Karaoke versions of each track are included for class performances! 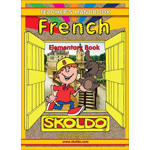 Skoldo Elementary Teacher's Handbook is suitable for early language learning. The level of language used in this book is simple and aimed at 4 - 7 year olds. This book is a suitable resource for non-specialist teachers. Really great resource that can be used with young children from Year 1. Lots of songs and general colouring in worksheets. Just what I needed to get me started on my new venture teaching Spanish to Year 1.